Rockstar Games hasn’t released a proper new title since 2013’s Grand Theft Auto V, and since that game not only sold really well but also boasts an online community that is very happy to spend real money on in-game toy money, it doesn’t seem like Rockstar has had much of a need to spend time putting out anything else. Thankfully, though, that might be about to change as Rockstar seems to be setting the stage for a rather big reveal. Unfortunately, it hasn’t actually announced anything yet—or even announced an announcement—so there isn’t much to go on, but what we do have is very exciting. That’s it. No further information, no “coming soon,” and no real indication that an announcement is forthcoming whatsoever. The reason this is so exciting, though, is that the logo on a red background is extremely evocative of Red Dead Redemption, a 2010 Rockstar title that’s arguably one of the best open-world action games of all time. 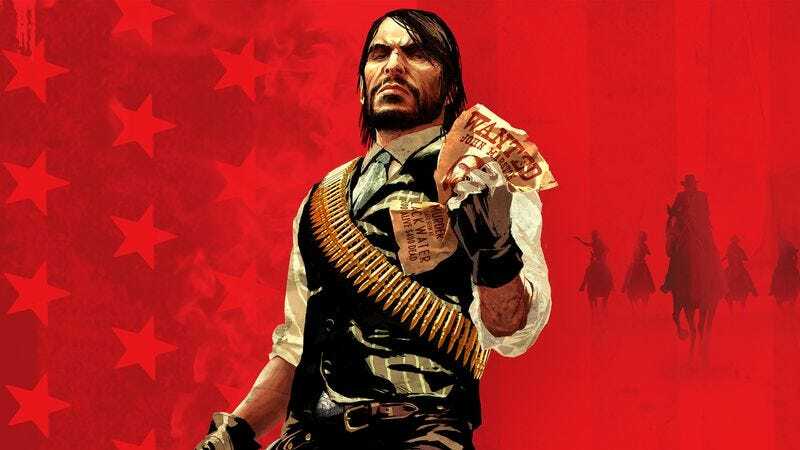 There have been rumblings of a new Red Dead sequel for years now, with the internet getting its hopes up for an announcement every few months when rumors start to surface or an anonymous internet tipster uncovers a supposed map, but this is the first time Rockstar itself has given the hype machine a little jumpstart. It also might be worth pointing out that Red Dead Redemption was a cowboy game that used the violence inherent to the genre to tell a story about the hollowness of vengeance for both the in-game character and the person playing the game, which fits nicely with what seem to be the themes of HBO’s new Westworld series. Basically, if there was ever a time for Rockstar to announce a new Western that has something to say about the nature of mankind, now would be that time.